"If you run you're dead... if you stay, you're dead again. Period." City of God is a movie set in India. It is considered to be a crime thriller that tells the story of migrant workers who get into a bad situation with the mafia. This film used what is considered hyperlink cinema as is told as a narrative. The film tells the story after there is an accident in the road and affects the lives of four different families. The Tamil migrants follow Swarnavel who falls in love with another migrant worker named Marathakam. Their relationship is broken up and Marathakm is forced to marry someone else. She ends up leaving her husband to be with Swarnavel and they are able to escape the craze of her husband to end up in an accident. Sony and Jyothi Lal are business men who deal with gang activity. While they start off on good term they get in trouble with a rival gang and are in danger. Sony falls for Surya who is an actress in an unhappy marriage. Her husband is a partner of Sony's. Her husband gets arrested by the police for allowing hazardous conditions at his place of business. Since he is facing charges Surya is forced to have relations with the courts in order to get his charges dropped. They all end up in the accident and Sony dies almost immediately. The gang that is after Lal arrives at the scene of the accident and tires to kill then and there. He is able to escape and has Surya with him. They realize that they mean a lot of each other and can help each other out in life. Swarnavel and Marathakam are able to get married and end up living a peaceful life. This movie uses great scenery including the background setting and music to tell a great story while showcasing the best of this culture. 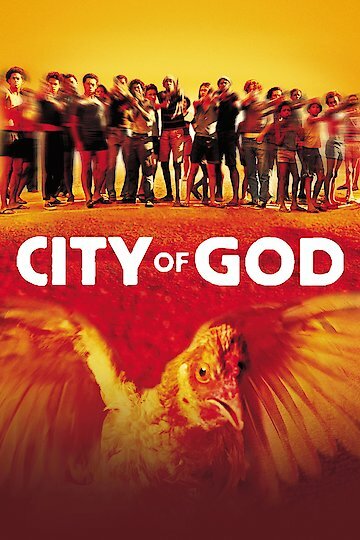 City of God is currently available to watch and stream, download, buy on demand at Netflix, Amazon, Vudu, Google Play, FandangoNow, iTunes, YouTube VOD online.